Delegations will find attached the draft European Council (Art. 50) guidelines following the United Kingdom's notification under Article 50 TEU, prepared by the President of the European Council. European integration has brought peace and prosperity to Europe and allowed for an unprecedented level and scope of cooperation on matters of common interest in a rapidly changing world. Therefore, the Union's overall objective in these negotiations will be to preserve its interests, those of its Member States, its citizens and its businesses. 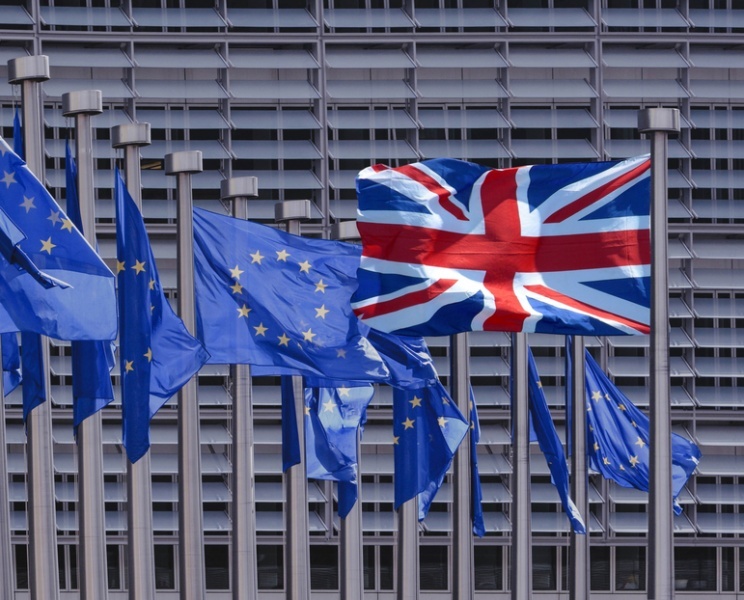 The United Kingdom's decision to leave the Union creates significant uncertainties that have the potential to cause disruption, in particular in the UK but also in other Member States. 1. The European Council will continue to base itself on the principles set out in the statement of Heads of State or Government and of the Presidents of the European Council and the European Commission on 29 June 2016. It reiterates its wish to have the United Kingdom as a close partner in the future. It further reiterates that any agreement with the United Kingdom will have to be based on a balance of rights and obligations, and ensure a level-playing field. Preserving the integrity of the Single Market excludes participation based on a sector-bysector approach. A non-member of the Union, that does not live up to the same obligations as a member, cannot have the same rights and enjoy the same benefits as a member. In this context, the European Council welcomes the recognition by the British Government that the four freedoms of the Single Market are indivisible and that there can be no "cherry picking". 3. On the date of withdrawal, the Treaties will cease to apply to the United Kingdom, to those of its overseas countries and territories currently associated to the Union, and to territories for whose external relations the United Kingdom is responsible. The main purpose of the negotiations will be to ensure the United Kingdom's orderly withdrawal so as to reduce uncertainty and, to the extent possible, minimise disruption caused by this abrupt change.To that effect, the first phase of negotiations will aim to: – settle the disentanglement of the United Kingdom from the Union and from all the rights and obligations the United Kingdom derives from commitments undertaken as Member State; – provide as much clarity and legal certainty as possible to citizens, businesses, stakeholders and international partners on the immediate effects of the United Kingdom's withdrawal from the Union. The European Council will monitor progress closely and determine when sufficient progress has been achieved to allow negotiations to proceed to the next phase. 8. The right for every EU citizen, and of his or her family members, to live, to work or to study in any EU Member State is a fundamental aspect of the European Union. Along with other rights provided under EU law, it has shaped the lives and choices of millions of people. Agreeing reciprocal guarantees to settle the status and situations at the date of withdrawal of EU and UK citizens, and their families, affected by the United Kingdom's withdrawal from the Union will be a matter of priority for the negotiations. Such guarantees must be enforceable and non-discriminatory. 16. The withdrawal agreement should include appropriate dispute settlement mechanisms regarding the application and interpretation of the withdrawal agreement, as well as duly circumscribed institutional arrangements allowing for the adoption of measures necessary to deal with situations not foreseen in the withdrawal agreement. This should be done bearing in mind the Union's interest to effectively protect its autonomy and its legal order, including the role of the Court of Justice of the European Union. 17. The European Council welcomes and shares the United Kingdom's desire to establish a close partnership between the Union and the United Kingdom after its departure. While a relationship between the Union and a non Member State cannot offer the same benefits as Union membership, strong and constructive ties will remain in both sides' interest and should encompass more than just trade. 18. The British government has indicated that it will not seek to remain in the single market, but would like to pursue an ambitious free trade agreement with the European Union. Based on the Union's interests, the European Council stands ready to initiate work towards such an agreement, to be finalised and concluded once the United Kingdom is no longer a Member State. 21. The future partnership must include appropriate enforcement and dispute settlement mechanisms that do not affect the Union's autonomy, in particular its decision-making procedures. 24. The European Council recognises the need, in the international context, to take into account the specificities of the United Kingdom as a withdrawing Member State, provided it remains loyal to the Union's interests while still a Member. Similarly the Union expects the United Kingdom to recognise the need of the 27 Member States to meet and discuss matters related to the situation after the withdrawal of the United Kingdom.